Bedford County Pest Control (BCPC) is a locally owned, licensed pest control and exterminator service provider located in Bedford, VA. Our service area consists of the central Virginia areas of Amherst County, Appomattox, Bedford County, Big Island, Forest, Lynchburg, Madison Heights, Nelson County and Smith Mountain Lake. In most cases, for less than a dollar a day, we can help you and your family or business live and operate in a pest-free environment. No one plans to have pests, and they often appear at the most inconvenient time, causing various problems and threatening your family’s health and well-being. 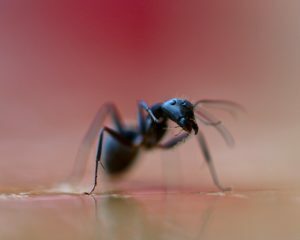 If you are experiencing a pest control problem such as infestations of ants, cockroaches, termites or any other kind of insects/bugs …or other nuisance pests like mice, rats… or even larger “critters”… you need pest control services…we can help. In addition if you are fed up with Stink Bugs and are you tired of having them live in your home, for 6 or more months each year, we can help. There are ways to greatly minimize and help eliminate your stink bug problems. Stinkbugs come in two colors- green and brown. 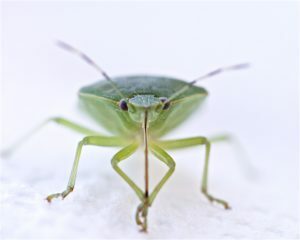 Green stink bugs are plant feeders, while brown stink bugs, are predators, that occassionally feed on plants. 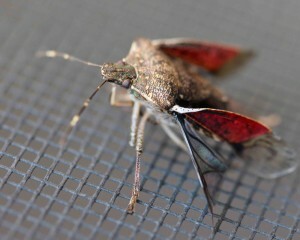 It is the brown marmorated stink bug that invades homes in the fall. The bug survives the winter by entering homes in the Fall … often thousands will enter an home. Per Wikipedia- “In one home more than 26,000 stinkbugs were found overwintering. Adults can live from several months to a year”. Our promise is to provide every customer with exceptional service at fair prices with unparalleled integrity with our work.